Dissertation: Critical Thinking: Using Student Narrative to Understand Women’s Evolving Role in the Birth Experience. Designed and implemented Self-Directed Nursing Skills Laboratory based on Masters Project. Designed and implemented Clinical Care Plans for Medical-Surgical, Maternal-Child, and Mental Health Nursing. Designed and implemented Clinical Evaluation Tool used in every clinical specialty. Designed and implemented Medication and Physical Assessment evaluation tools used in every clinical rotation. Implemented Pediatric clinical immersion program with Children’s Center of Central California. Conducted hearing & vision screening on all K, 2nd, 5th, & 8th grade students. Conducted hearing & vision screening on all K, 2nd, 5th & 8th grade students. Conducted scoliosis screening on all 8th grade students. Designed and implemented district-wide Insulin pump management for insulin dependent junior high students. Designed and developed nursing computer charting screens for Mercy Healthcare of Central California. Labor & Delivery, Obstetrics, Newborn Nursery, Neonatal Intensive Care Unit, and Pediatrics. Developed and designed Skills Round-Up Days for department yearly certification. 2015 Master’s Thesis Chair: Jessica Fisher “CAUTI Prevention: A Nurse Driven Protocol” May 2015. 2013 Accreditation Report: “Self-Study” California Board of Registered Nursing, January 2014. 2013 Master’s Thesis Chair: Marilyn Scheid “Issues in Neonatal Transport”. 2012 Accreditation Report: “Continuous Improvement Progress Report” Commission of Collegiate Nursing Education (CCNE) June 2012. 2011 Dissertation: “Critical Thinking Development: Using Student Narrative to Understand Women’s Evolving Role in the Birth Experience” June 2011. 2011 Master’s Thesis Chair: Anita Chowdhary “Competency Based Orientation for the PACU Nurse”. 2011 Master’s Thesis Committee Member: Esther Riggs “Elective Labor Inductions: Risks and Benefits, Rationales, Current Trends, and Standards of Practice”. 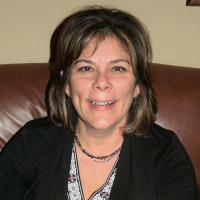 2011 Master’s Thesis Committee Member: Wendy Blum “Reference Manual for Part-Time Clinical Nursing Instructors”. ​2009 Peer Reviewed Publication: “The Genogram: Enhancing Student Appreciation of Family Genetics” The Journal of Nursing Education, published April, 2009, vol.48, pps. 222-225, (4).2009 Reviewer: for Leek “Patho Phalsh! Pathophysiology Flash Cards” (2010). F. A. Davis. 2008 Peer Reviewed Publication: “Integrating Simulation Across theCurriculum”, Nurse Educator, published September/October 2008, vol.33, pps. 210-214, (5). 2008 Reviewer: for Nagtalon-Ramos, “Clinical Coach for Maternity Nursing” (2008). F. A. Davis Company. 2008 Reviewer: for Littleton & Engrebetson “Maternal, Neonatal, and Women’s Health Nursing” (2008). Delmar-Cengage Learning. 2008 Poster Presentation for 12th International Nursing Learning Resource Centers Conference, San Jose, CA. “Skill Competency: An Imperative for Clinical Faculty”. 2007 Poster Presentation, Self-Directed Nursing Resource Center, 7th National Conference on Nursing Skills Laboratories, San Antonio, Texas. 2007 Poster Presentation, Integrating Simulation Throughout the Curriculum, AACN’s 2007 Hot Issues Conference, Denver, CO.
2011 Research and Sponsored Programs, Judge for student research competition. 2010 - 2013 Assessment Leadership Team – College of Human and Health Sciences Representative. 2006 - 2007 Curriculum Committee, Department Representative - College of Health and Human Sciences. 2006 CSU, Stanislaus, Doctorate Educational Leadership feasibility focus group. 2006 Global Learning, Study Abroad - feasibility study Dublin, Ireland. 2006 & 2007 Portfolio review for CSU Stanislaus Child Health & Development Department graduating seniors. 2002 – 2006 Academic Senator, Nursing Department Representative. 2005 – current Preview Day, CSU Stanislaus. 2005 Spring Retreat - Strategic Planning Committee, College of Arts, Letters, & Sciences. 2003 – 2006 Nursing Department, University Library Liaison. 2013 Song Brown Healthcare Workforce Training Act – Ranked 1st in the state among 14 other BSN & MSN competitors. Awarded $240,000. 2013 HRSA Application – Scholarship for Disadvantaged Students, unfunded. among 17 other BSN & MSN competitors. Awarded $240,000.00. 2012 HRSA Application – Scholarships for Disadvantaged Students, unfunded. simulation equipment and curriculum development for the School of Nursing. 2011 Song Brown Healthcare Workforce Training Act – Ranked 1st in the State awarded $240,000.00. Due to decreased funding all applicants were ranked using a single statewide pool. 2010 Song Brown Healthcare Workforce Training Act - Ranked 2nd in the region. Awarded $240,000.00 (The increased number of applications necessitated that the state be divided into regions for awards). 2009 Song Brown Healthcare Workforce Training Act – Ranked 6th in the state. 2004 College of Arts Letters and Sciences Equipment Grant – Awarded requested amount: $20,000.00 to purchase an infant high-fidelity simulator. 2011 Career Day Presenter, Hughson High School. 2010 Career Day Presenter, Hughson High School. 2008 – current Comprehensive Perinatal Services Committee member, Stanislaus County. 2006 Consultant for Stockton Unified School District at Roosevelt Elementary School: Alternatives for health education and basic screening focus group. 2006 Senior High School Portfolio Reviewer for Hughson Unified High School. 2006 Career Day Presenter, Hughson and Ceres High Schools. 2005 Career Day Presenter, Hughson and Ceres High Schools. 2004 Career Day Presenter, Hughson and Ceres High Schools. 1997 – 2002 American Red Cross, Certified Community CPR Instructor. 2007 Department Chair, Search Committee Chair. 2007 Reproductive Health Faculty Search Committee Chair. 2006 Board of Registered Nursing Accreditation preparation team member. 2006 Department Chair Search Committee Chair. 2006 Pediatric Faculty Search Committee Chair. 2005 - 2012 Nursing Pinning Ceremony, Honored Faculty Guest Speaker. 2005 Reproductive Health Faculty, Search Committee Chair. 2005 Community Health Faculty, Search Committee member. 2003 – 2012 Curriculum Committee, Standard III, Chair – Curriculum and Teaching, Learning Practices. 2002 Developed the Curriculum and implemented Self-Directed Nursing Skills Laboratory CSU, Stanislaus. 2012 AACN “Developing Effective Faculty Relations”, Washington, D.C.
2011 AACN Directors Semi-Annual Meeting, Washington, D.C.